What should we expect from Austria’s upcoming presidency of the Council of the European Union? 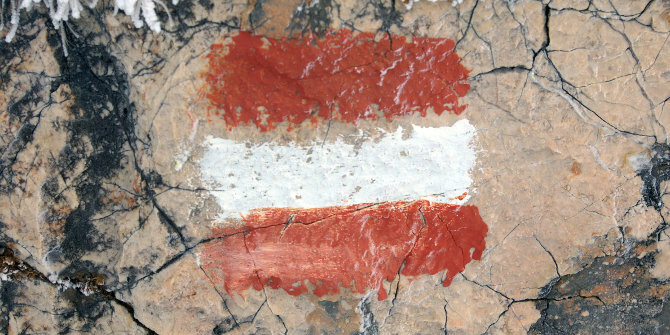 On 1 July, Austria will take over the rotating presidency of the Council of the European Union for the third time. As Paul Schmidt notes, since the Treaty of Lisbon entered into force in December 2009, the role of the presidency has fundamentally changed. He assesses how much room for manoeuvre this leaves to make a difference, and what we can expect from the upcoming Austrian presidency. On 1 July, Austria will be the next country – after Bulgaria – to take over the presidency of the Council of the European Union. This time the EU presidency will be different for the government in Vienna. With the Lisbon Treaty, the role of the country holding the six-months rotating Council presidency has changed. The permanent President of the European Council, the High Representative of the Union for Foreign Affairs and Security Policy, the increased importance of the Eurogroup and the amplified role of the European Parliament as well as the trio presidencies are all elements of continuity, but have also reduced the room for political manoeuvre for the country in charge. Yet, there remain many ways to make a mark. It is still the rotating EU-Council presidency that sets the agenda, organises and chairs more than 300 official meetings including nine Council formations, and coordinates between the different positions of the other EU member states. In addition, the Austrian EU presidency will be the last full presidency before the elections of the European Parliament in May next year and is thus expected to successfully complete many of the approximately 190 legislative proposals on the table. There are at least three central issues on the EU agenda: the new proposal by the European Commission regarding the next seven-year EU budget, the difficult but nevertheless rather crucial dossier on a common approach to asylum and migration, and the continuous red lines for Brexit talks with Westminster. While the complicated EU budget negotiations will likely peak in 2020, before the multiannual financial framework is due to enter into force, the Brexit negotiations need to be concluded by October and there is also a high sense of urgency to avoid failure regarding a common European approach to asylum and migration challenges. It is therefore no coincidence that the Austrian government is dedicating the upcoming six months to its motto “A Europe that protects”. In particular, it is focusing on efforts regarding security in Europe and the fight against illegal migration, securing welfare and competition by advancing the digital single market, and striving for stability in the European neighbourhood, with special support for the countries of the Western Balkans on their path towards EU-accession. Expect the Austrian presidency to play by its role as an honest broker and to mediate between different national interests. The government in Vienna will present itself as a bridge-builder and for the next six months will refrain from directly formulating its own policy preferences at any of the European meetings. Yet, the European agenda is only half of the story. Also important will be Austria’s attempts to push for progress in the debate over the future of Europe and – with European elections around the corner – to initiate public discussions in Europe and at home. In this context, reviving the EU-concept of subsidiarity is close to the government´s heart and at the very centre of its EU discourse. Many in Vienna are therefore waiting for the EU taskforce on subsidiarity to deliver its first tangible results. At the same time, the country in the EU driving seat needs to be well prepared for the unexpected. Challenges such as a looming trade war with the United States, a new wave of migration in the south of Europe, or a ‘no deal’ Brexit have the potential to turn the agenda on its head. The management of public expectations during these six months will be key to successfully completing the term. The truth is that possibilities to change the course of integration in this period of time are rather limited, but they do exist and should not be underestimated. The EU-Council presidency is still much more than a photo shoot. It is a time to render good service and to facilitate the success of European integration. Paul Schmidt is Secretary General of the Austrian Society for European Politics.